It’s almost moving season! By now, you’ve likely found your dream Arlington Heights apartments. It’s never too early to start planning for the big move. Here’s a helpful guide to assist in making your move seamless. Before your big move, be sure you know all the utilities you will need to make transfers for. Getting this done in advance can really save you the headache and hassle later. In some cases, certain utility companies will not be able to come out and make the switch until the next day. So you want to make sure your apartment has everything working as soon as you have received your keys to your new apartment. Another important switch to make in advance is a change of address form, which you can do online. To move it oneself, or to hire movers? This can be a dreaded question that every mover must address. And like most important decisions, the answer is different for everyone depending on several factors such as time, money, difficulty and complexity of the move. If you're moving into a new apartment for the first time, you may not own as many belongings, so a self-move may be a good option. However, if you have own a lot of heavy, bulkier furniture,you may want to go with a moving company. If you need help choosing a moving company, here are a few local options: Boyer-Rosene and Atlantic Relocation Systems. This one is a no-brainer. Between your deposits and movers/rentals fees, you’re going to want to save money where you can. Finding free boxes is the perfect way to do so. Local businesses tend to have plenty on head, especially on days following new shipments. 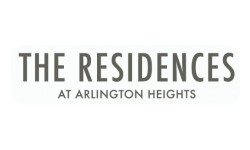 Still looking for an Arlington Heights apartment complex? Let us help! Call our leasing office at (847) 305-3341, or submit an online application today!